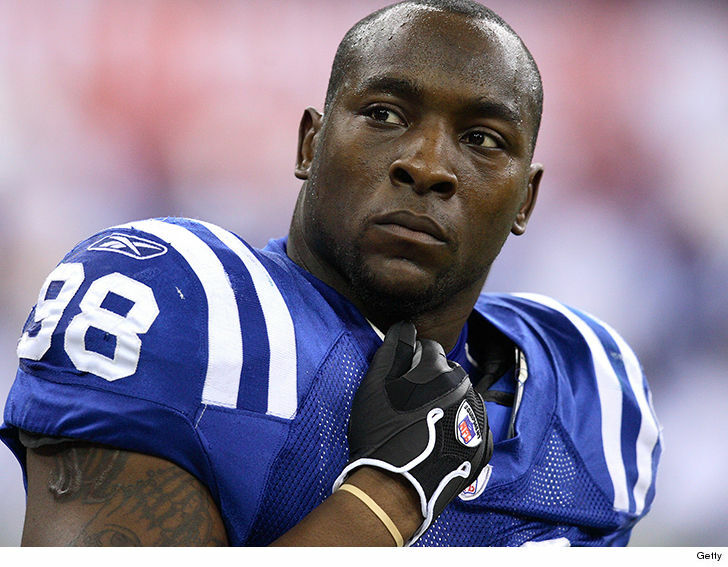 Ex-NFL star Robert Mathis told police he drank alcohol and took a sleeping pill before getting behind the wheel of a pickup truck … this according to the police report obtained by TMZ Sports. Mathis was pulled over after cops noticed him driving the wrong way down a 1-way street early Tuesday morning — and when officers approached the vehicle, Mathis was a mess. When asked for vehicle registration, Mathis handed the officer a large vehicle placard (a placard that comes with brand new vehicles). Mathis told another officer he had two shots of Crown Royal along with the sleeping aid. He was given a field sobriety test and bombed it. As we previously reported, Mathis’ blood alcohol level was below the legal limit — but officers felt he was under the influence and in no condition to drive so he was arrested for OWI. During the process, cops noticed he had 2 dogs in his truck so his wife was called to pick up the animals. Mathis has since been released from custody.